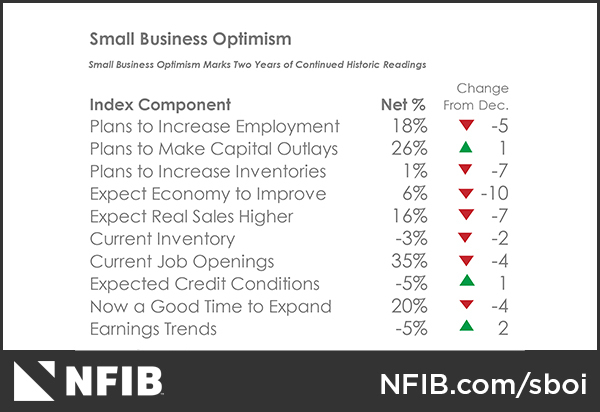 The NFIB Small Business Optimism Index returned to pre-2016 election levels amid a political climate fostering uncertainty. Worth noting, small businesses still report sales are solid, and that they are continuing to hire and increase compensation. Since Donald J. Trump was elected President of the United States, the NFIB Small Business Optimism Index, NAM Manufacturers’ Optimism Index, Consumer Sentiment, Consumer Confidence and various regional factory surveys have all hit records. 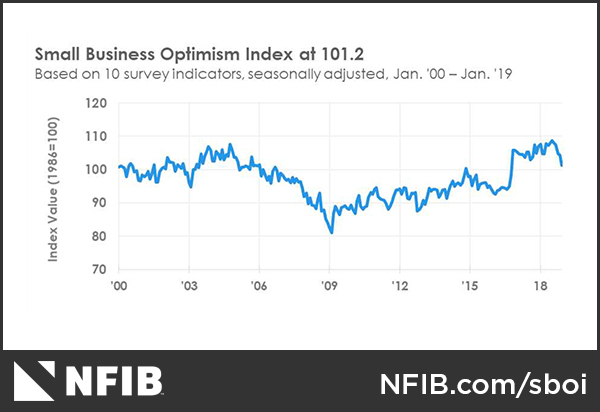 Now, at 101.2, the lowest level since President Trump was elected in November 2016, the NFIB Small Business Optimism Index remains well above the historical average of 98. But, like many of the aforementioned gauges, is clearly declining as a result of a political climate of sabotage. The reading indicates uncertainty among small business owners due to the 35-day government shutdown and financial market instability. The NFIB Uncertainty Index rose 7 points to 86, the fifth highest reading in the survey’s 45-year history. Small businesses added a net 0.33 workers on a per firm basis, the highest reading since July 2018. Fifteen percent (15%) are increasing employment an average of 3.1 workers per, and 60% reported capital outlays. That’s just 1 point below December. At a net 36% of all firms, higher worker compensation rose to the second highest level in the survey’s history. As People’s Pundit Daily previously reported, wages rose by greater than 3% in Q4 2018 for the first time since Q3 2008, and have risen 3.2% in 2018. The U.S. economy last month created 304,000 jobs, twice the number as forecasts suggested for the second consecutive month. In the NFIB Small Business Optimism Index, owners continued to hire at record levels, as 56% of owners reported hiring or trying to hire. However, the skills gap continues to be the main issue with job creation. Eighty-eight percent (88%) of those owners reported few or no qualified applicants to fill open positions. 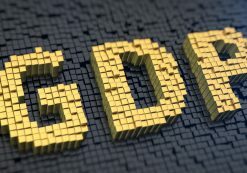 Twenty-three percent (23%) of small business owners said the availability of qualified labor is their top business problem juxtaposed to 15% who cited taxes (up 2 points), 12% citing the regulatory environment, and 2% cited financing (down 1 point).